Join us today as we get a glimpse at how the specialists can support your Rebellion! 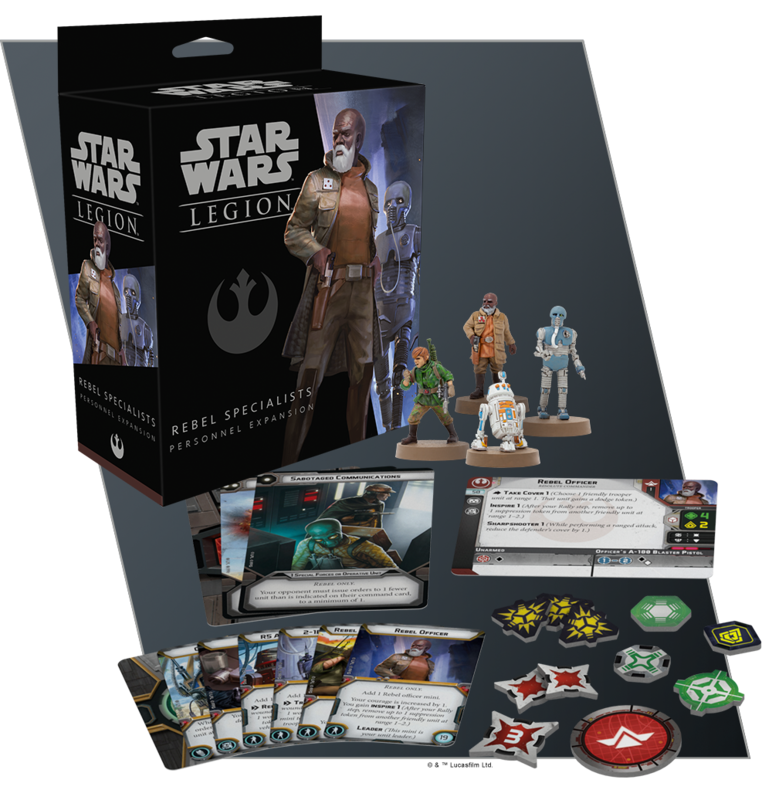 As battles erupt on countless planets across the galaxy, the Rebel Alliance needs leaders who can use the resources at hand to complete their objectives. 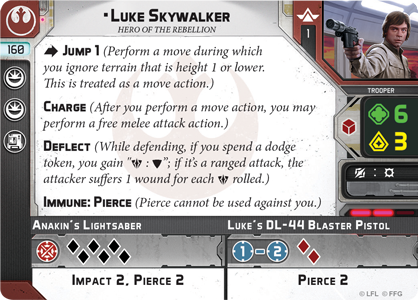 While the Rebels would always welcome the guiding hand of Leia Organa or the coolly confident leadership of Han Solo in every battle they fight, they must ultimately turn to other commanders to lead their troops in the majority of battles. Grizzled veterans of past wars or the leaders of planetary militias, these officers have no lack of experience. 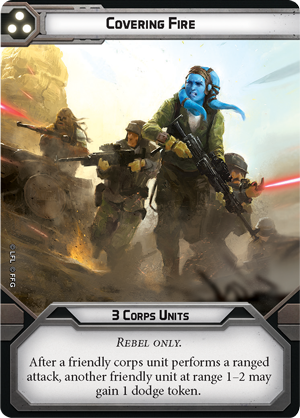 Even though they may lack the combat prowess of the Rebellion’s other commanders, they present a low-cost alternative that opens plenty of room to field a large and diverse army of Rebel troops. 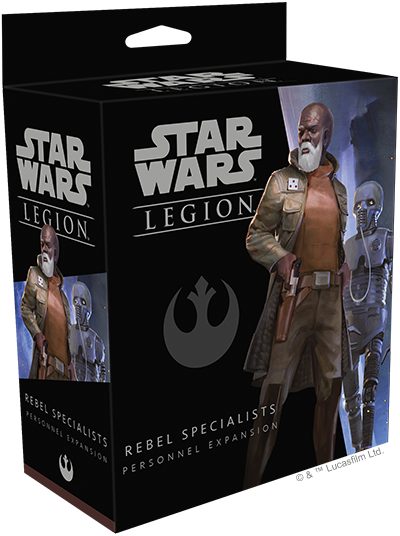 For only 50 points, a Rebel Officer can take command of your army, leading the way themselves or working alongside another Rebel commander. Just because they lack the name recognition of heroes of the Rebellion like Luke Skywalker doesn’t mean Rebel Officers aren’t accomplished warriors in their own right. Rebel Officers are excellent shots, reducing the cover of their targets with their A-180 Blaster Pistols. Better yet, they convert any surges to hits or blocks, making them even more of a force on the battlefield. More importantly, while Rebel commanders often appear beleaguered and underequipped, what they lack in resources, they make up for in resolve and pure force of will. 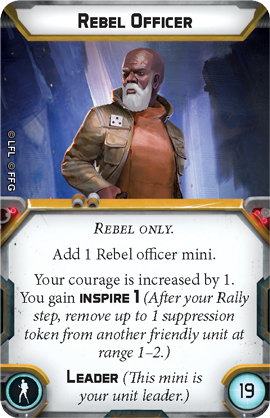 Given their long odds of success, every Rebel officer needs to lead by example, inspiring their troops to stay in the fight and potentially make the ultimate sacrifice for the cause of the Rebellion. 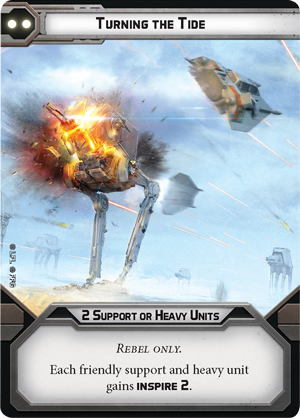 What’s more, years of experience have taught them that the Rebels’ best chance of victory lies in their ability to avoid Imperial fire rather than charging head-on. 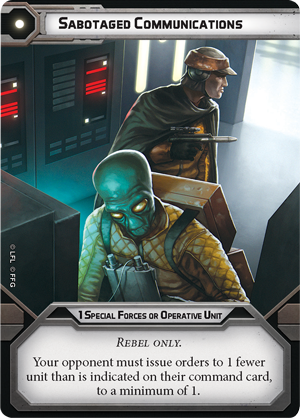 As a result, every Rebel Officer has the ability to command one of their units to take cover and gain a dodge token. 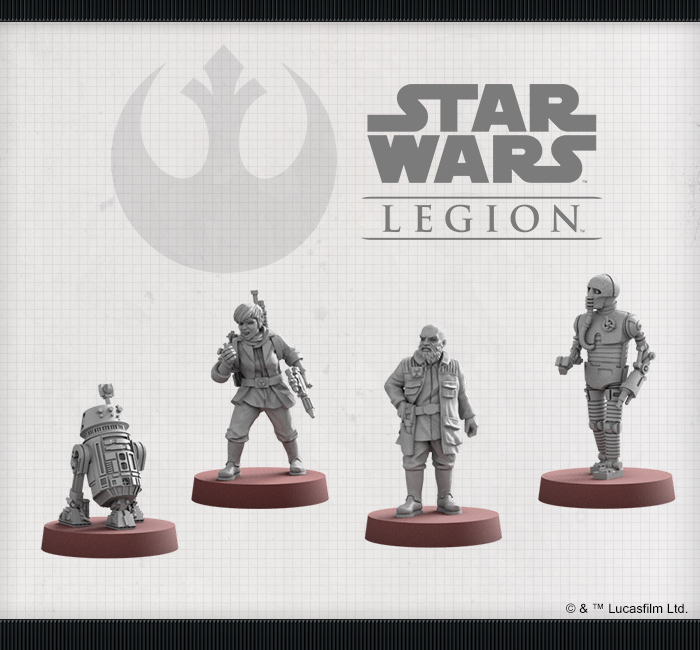 While Rebel officers may be at a constant disadvantage in terms of weaponry and manpower, the Rebel Specialists Personnel Expansion gives them the means to devise some ingenious battle plans. 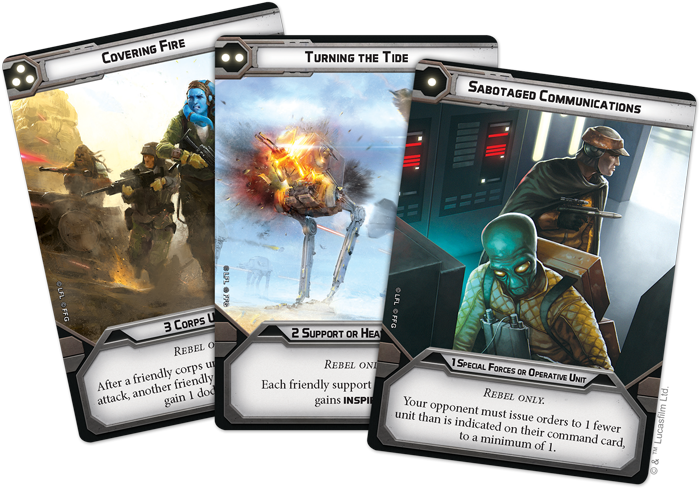 The three Rebel-exclusive command cards in in this expansion allow any Rebel commander to tailor their orders to the specific units that make up their multifaceted armies and enhance many of the Rebellion’s signature abilities. For example, you can dispatch your special forces units or operatives to disrupt your enemy with Sabotaged Communications. 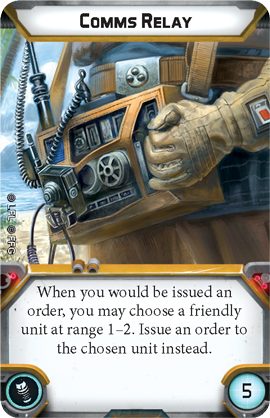 Not only does this card ensure a unit like a group of Rebel Commandos or Chewbacca are ready to use their skills exactly when you need them, it also forces your opponent to issue orders to one fewer unit than is indicated on their command card. If your army has an abundance of heavy or support units, on the other hand, you can grant each of them Inspire 2 for a round by playing Turning the Tide, giving any AT-RTs or T-47 Airspeeders the perfect opportunity to lead nearby trooper units into the thick of battle. Finally, lacking the thick armor donned by many Imperial units, Rebel forces must do everything they can to avoid incoming fire and, if they lay down some Covering Fire, they can work together to make the whole army safer. Having a strong leader at the head of your army is crucial for success in any battle, but these commanders often think in terms of their larger strategy, rather than the individual unit. Fortunately, the miniatures in this Personnel Expansion can be more directly involved with your troops on the ground. 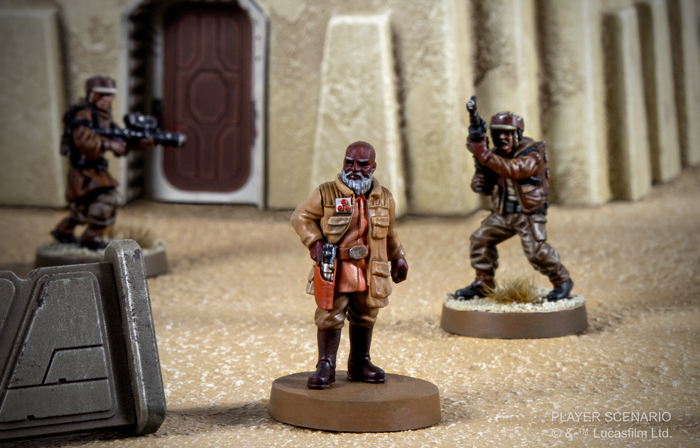 Slotting into any unit with the personnel upgrade icon, these miniatures push your army to perform at its best. Even if both of your available commander slots are filled, you can still make use of a Rebel Officer. Rather than leading your entire army, when used as an upgrade this miniature assumes command of an individual unit. Not only does having an experienced veteran in the lead raise your unit’s courage by one, it also helps the unit inspire others around it, removing a suppression token from another friendly unit at Range 1–2 after the Rally step. No matter who you choose to lead your army, they will only be effective if their orders reach the soldiers under their command. 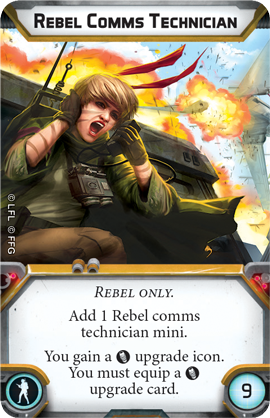 Adding a Rebel Comms Technician to one of your units, then, can provide many benefits. This miniature adds the comms icon to your upgrade bar, opening up some intriguing possibilities. You could use this as an opportunity to break down the enemy’s lines of communication with a Comms Jammer. Alternatively, you could make a unit the linchpin of your own communications by equipping your Comms Technician with a Comms Relay. 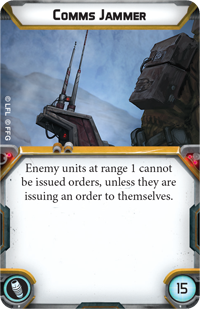 If they’re in the right position, this relay gives you the chance to not just issue an order to a unit out of your commander’s range, but to ignore any restrictions on the rank of the unit receiving the order. In war, casualties are inevitable. Even with officers and comms technicians helping your army run at peak efficiency, your soldiers will still come under fire and be removed from the fight. With a 2-1B Medical Droid treating soldiers in the field, however, your units can remain at full strength a bit longer. 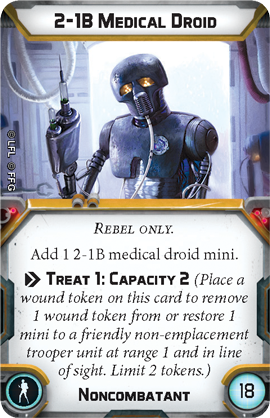 Twice during a game, this medical droid can either remove one wound token or restore one mini to a friendly non-emplacement trooper unit, helping your corps units fire on all cylinders or keeping a powerful commander like Luke Skywalker in the fight. Similarly, the Rebellion often has to repurpose older vehicles like the AT-RT to keep up with the Empire’s vast arsenal. 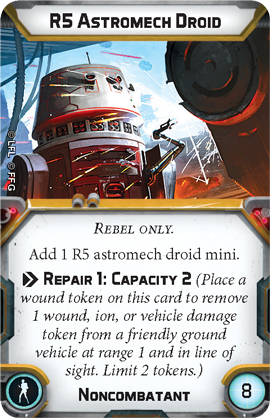 An R5 Astromech Droid can be invaluable for making any repairs that crop up in the middle of a battle. 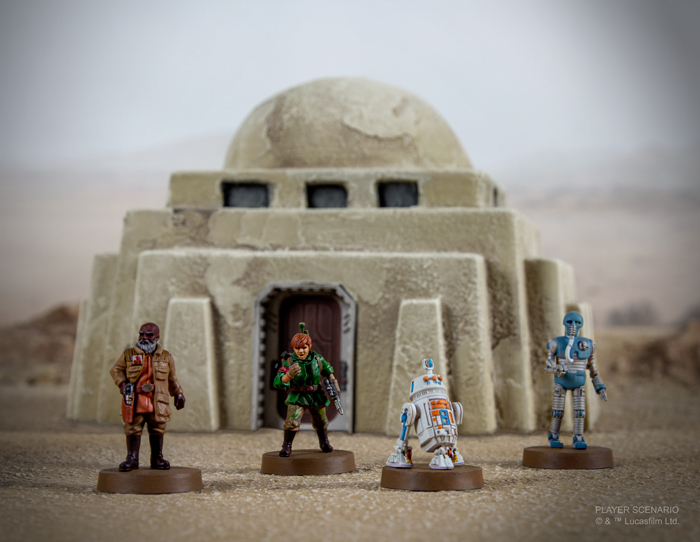 These droids can remove wound, ion, and vehicle damage tokens from friendly ground vehicles, helping them retain their full complement of actions and battery of weapons. The Rebel Alliance may be at a disadvantage in terms of equipment, but they have the personnel to take down any foe.